Unless you’re happy to give up your seat to one of those standing ringside, there is no concession to humanity to be found in the Maria. 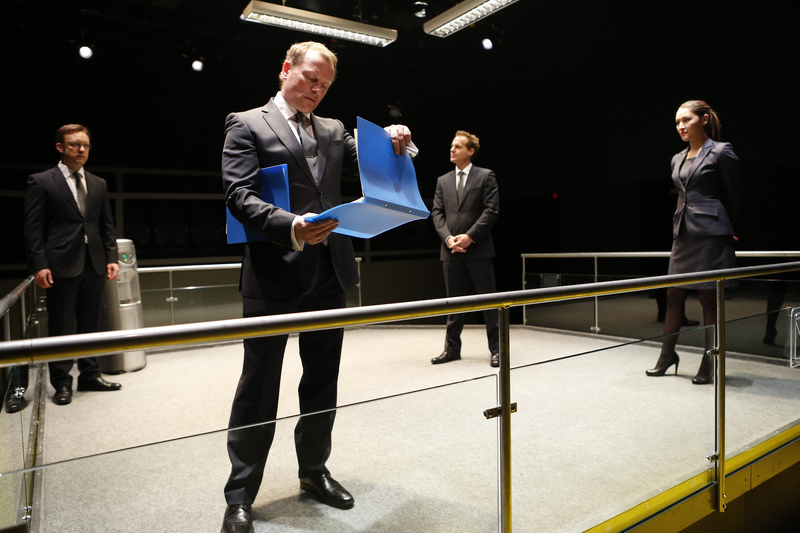 Mike Bartlett’s brutal play of corporate bullying is unflinching. The setting is a steel boxing ring and the music that greets the spectators is Eye Of The Tiger, House Of Pain’s Jump Around, Wild Thing. The set-up and tone are familiar from The Apprentice. Three enter the ring, two will leave. The chief executive is coming to make a decision –“a cull to save the species” – and the team must offer up a sacrifice. The victim, it seems, is pre-ordained. Tag-team style, she hands over to effortlessly privileged Tony, with his abs and his smooth sense of entitlement. Thomas spots the conspiracy but isn’t deft enough to launch a counter-attack or side-step the blows. Despite their torments, he is his own worst enemy, incapable of telling them to stop and meaning it. He craves their “truths” for they validate his self-loathing. Tony and Isobel detest each other but in the ring corporate Darwinism puts the two winners in harness in their rhythmic destruction of this “chaff”. The play lasts 55 taut minutes under Clare Lizzimore’s direction. A relief that is too because we are quickly complicit in this cathartic goading. We should sympathise with Thomas but, hey, no-one likes a loser. Boxing is a metaphor but becomes a reality as Thomas fights not just for his job but for his soul. “You thought that bad people like me would fall at the wayside and good people like you would triumph. Oops,” says guiltless Isobel. In this Sam Troughton at Thomas is remarkable. 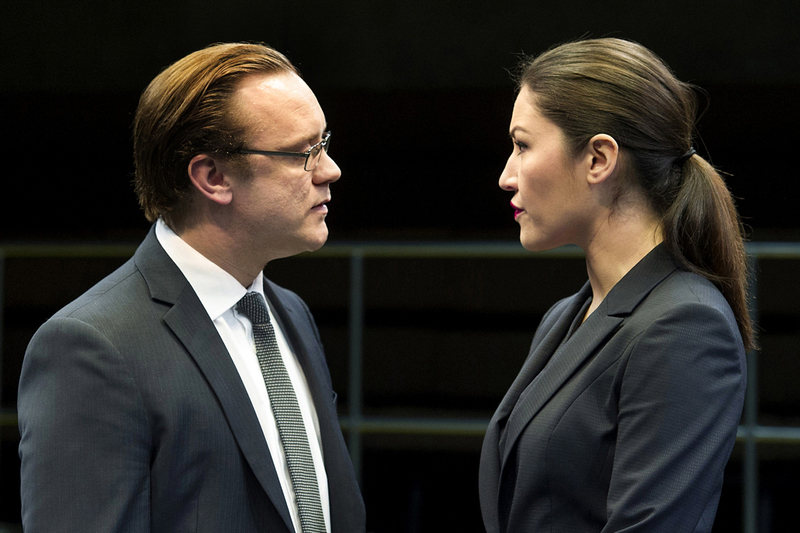 The others – Eleanor Matsuura as Isobel, Adam James as Tony and Neil Stuke as boss Carter – are fixed, firm and assured throughout. Troughton has to crumple and implode inside his cheap suit. This is office politics played by psychopaths. Disturbingly entertaining it is too.